People hate change. Some embrace transformation in their personal lives or will switch jobs when their routine becomes unbearable or unfulfilling, but many will resist altering their daily activities unless it provides some personal benefit. In other words, it will be easier to institute change when employees believe that process will ease their burdens or allow them to make more money without risking job security. Hosted VoIP is the perfect example. When properly implemented, these technologies create a host of business-enablement options for virtually any organization ̶ as well as the individual freedom they present to employees and customers. Of course, those benefits only come about if everyone embraces the change and does their part to adopt these flexible solutions into their daily routines. VoIP is transformational. Some IT pros look at these systems as mere technological innovations, replacing landline phones with IP-driven alternatives. Fortunately, most MSPs understand these implementations represent a fundamental shift in corporate communications, allowing businesses to automate a myriad of back-office processes to improve customer service, cut costs, and achieve other organizational objectives. The rewards aren’t automatic. MSPs understand the efforts required to design, implement, and support VoIP systems. The hosted version of these communications platforms simplifies and streamlines many of those processes, including updates and maintenance, but each business must address its employees’ individual needs. Providers who can distinguish those differences, no matter how small they may seem, can better prepare their clients to get the most from their VoIP investments. Before proposing VoIP deployments, providers should investigate the needs of individual workers. How often do they work outside the office? What devices do they prefer, and which applications help them succeed in their profession? Successful MSPs design client systems that address their employees’ collective needs and then customize the implementation and training process to meet each user’s unique preferences and job requirements. That’s a differentiator. Work is all about the processes. No two employees use their phones and communication systems the same way or interact with customers and business partners in a similar manner. 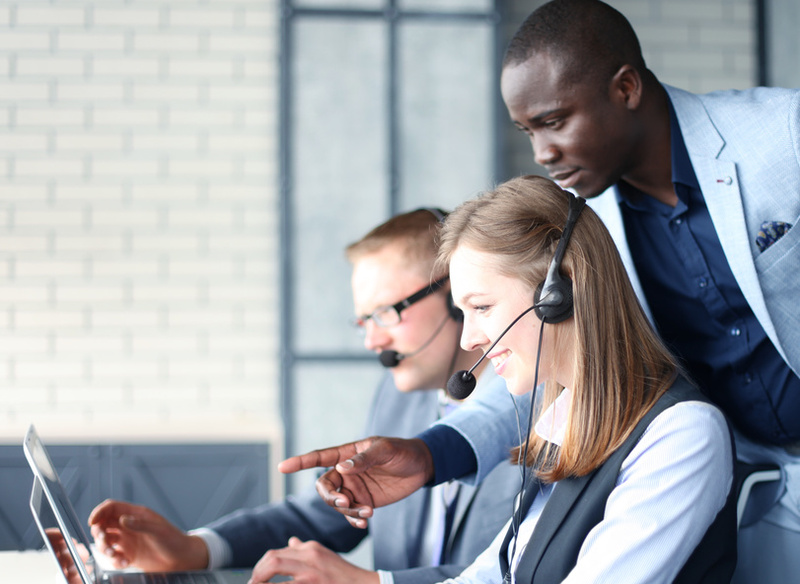 Individualized VoIP training helps ensure that each worker can get the most from these systems, leveraging the right features and integrations in their daily activities to improve their job performance. Training should be more than a “show and tell” session. Successful providers reinforce end-user adoption of VoIP technologies through post-implementation communications, such as sharing success stories and lessons others could adapt to their own business needs. Few things are as frustrating as a business communications issue. Whether the problem involves email, instant messaging, or voice solutions, employees want it fixed as soon as possible. Every VoIP user should know the process for reporting issues and, if needed, getting emergency support. Every MSP should clearly communicate those details ̶ in email, personal discussions and training materials ̶ and deliver periodic reminders to minimize disruptions. and retention levels high. The goal is to get employees to incorporate these technologies into their daily routines and become so dependent on their functionality that they can’t work without it. Monitoring individual adoption is crucial. Issues must be brought to the MSPs’ attention so they can be resolved. After properly configuring VoIP solutions, MSPs can then introduce new features and integrations that will nurture further adoption. It’s a continual process that ensures providers and customers enjoy greater success with these technologies. Are you ready to follow the Five Steps to Ensure Greater VoIP Adoption Success? Give ConnectMeVoice a call today (800) 743-1208, visit our Partner page, or drop us a line by filling out the form. Our team will happily walk you through the benefits of partnership, as well as the potential solution and support options. We promise to make hosted VoIP easy and profitable for you and your clients.